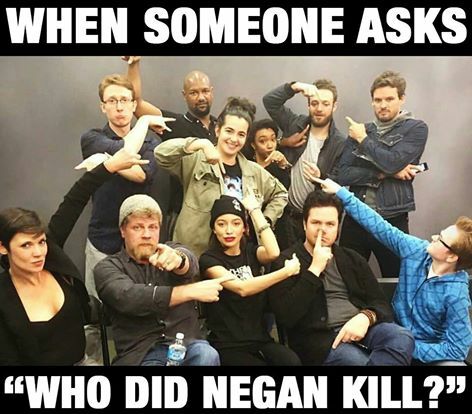 "Who did Negan kill?". . Wallpaper and background images in the The Walking Dead club tagged: photo negan season6 twd the walking dead finale. This The Walking Dead fan art might contain anime, komik, manga, kartun, and buku komik. 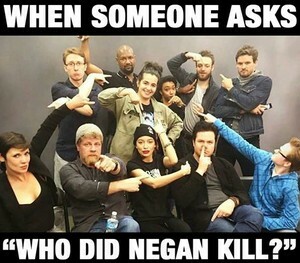 Everyone is pointed.... Except for Abe haha!